How to become a LoadCentral Sub-Dealer? A LoadCentral Sub-Dealer registers Retailers and replenishes the Retailer’s load wallet account according to their agreed payment solutions. He has an override on all sales of his Retailers. For every sale his Retailers make, the Sub-Dealer will receive an overriding commission known as the Gross Retailer Override (GRO) of up to 5% earnings. This amount is added onto the Sub-Dealer’s LoadWallet in real time. As long as the Retailers are selling prepaid products to customers, the Sub-Dealer will receive a corresponding commission. The more active retailers you signup the bigger your earnings will be. Please provide all the necessary details needed for your registration using the form below. Note: Instructions and payment details will be sent here. So enter a valid email address! Note: Please check your Spam or Junk folder in case you do not see our email in your Inbox folder. 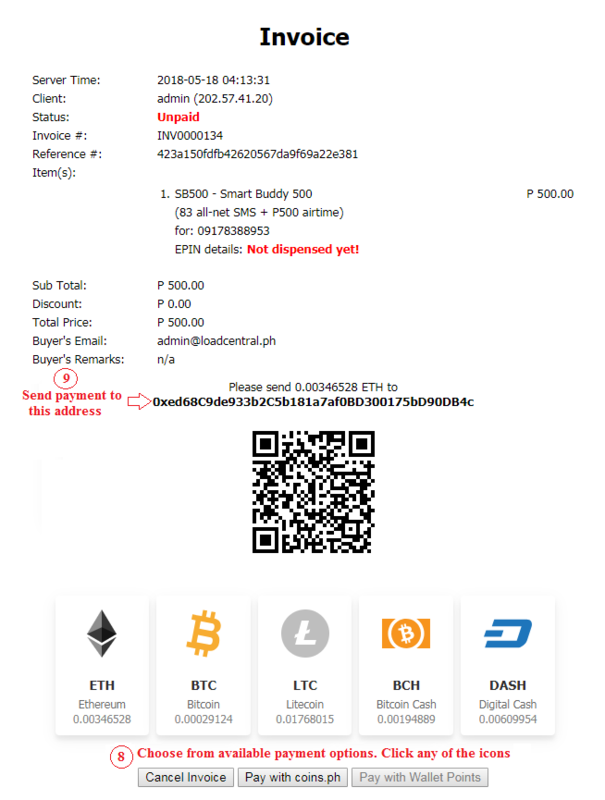 Our email address contact@loadcentralph.net might be falsely tagged as spam! 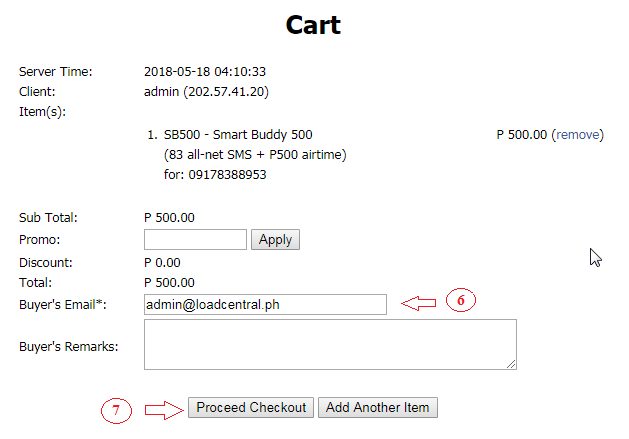 There is a non-refundable registration fee of Php1000 to become a LoadCentral Sub-Dealer. *The set can be picked up for free OR shipped to you for a small fee. There are no walletload credits included in the Php1000 registration fee. Details of payment options will be sent to your email address after you submit the registration form. 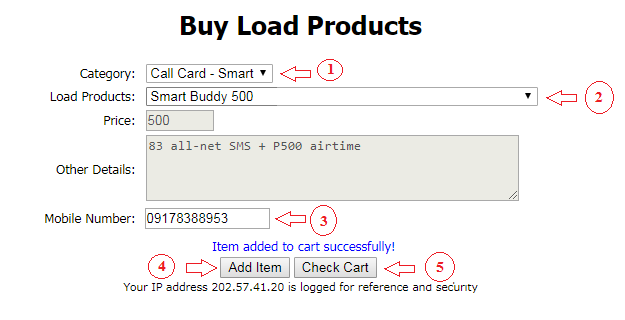 Make sure “contact@loadcentralph.net” is not in your spam list. In case you do not see our e-mail message in your Inbox folder, please check your Spam/Junk folder. Registration will be processed as soon as payment is received and verified. If you want to sell load products as well, you need to activate your own Retailer account. Sub-Dealer accounts cannot sell load. Register another SIM that has not been registered in the LoadCentral system yet. If you intend to use the webtool solely, you can register any unique username as your Retailer account. If you have an existing Retailer account, you can move it under your SubDealer account later on. Newly registered sub-dealers need to change passwords before 12 midnight Manila time. For security purposes, LoadCentral’s system automatically locks all newly registered accounts that have not yet changed their default passwords. SMS (FL) and webtool (SL) passwords should not be the same. Account 639********* is now a registered Dealer. Password 123456. To change, type CHANGEPW[space]123456[space][6-digit password], send to LoadCentral access #. We will also send you a “welcome email” containing details of your SubDealer account and additional resources you can read to have a better understanding of the business. So don’t forget to check your email after receiving the text notification message. If you want to change your FL password through SMS, create a new message and type CHANGEPW  [new password] then send it to the official LoadCentral Access Numbers. You can also change your FL and SL passwords through internet by logging in the LoadCentral webtool. Please note that your password must be a 6-digit alphanumeric, full alpha or full numeric characters. You can check the benefits of a LoadCentral Sub-Dealer here. If you are having issues with your SubDealer account, you may visit our FAQ and Troubleshooting sections for solution.